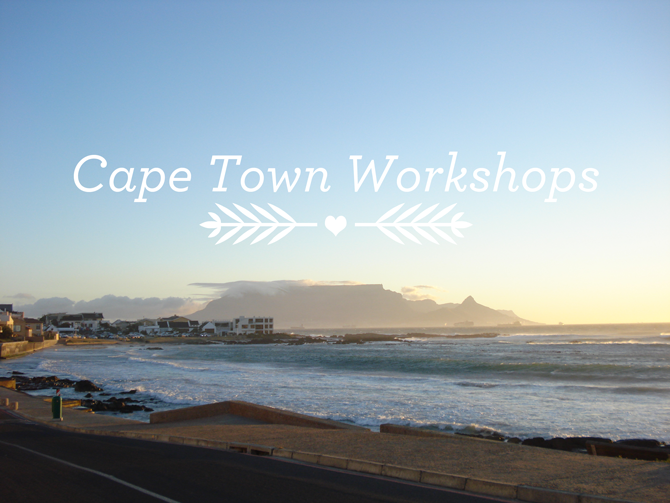 I'm planning the Cape Town creative business workshops scheduled for mid-August. I am in the process of looking at venues, exact dates and sponsors. Attend one of the workshops and invest in your creative business. Sponsor either a giveaway or goodie bag items for the workshop as marketing for your business. Services are welcome too for example photography or a florist. You can also leave your email address and I will email you the minute the dates and further details are released (you will also receive a booking discount). If you are interested in sponsoring something then email me with a short intro on what you would like to offer. Any great venue suggestions will be great too. I'm really excited to be heading to CT soon! To take a look at past workshop fun - just click here.